The stream, Grønnehave Bæk, is also part of the project included in the municipality’s overall climate adaptation plan, which drains rainwater away from a 120 hectare rural area outside Nykøbing Sjælland and a residential neighborhood in the city. 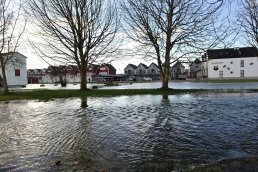 Nykøbing Sjælland's low-lying urban areas along the coast are at high risk of flooding during cloudbursts and storm surges. A new stream along the coast transports rainwater around the city, helping to prevent floods. Although the plan for Nykøbing Sjælland is still in an early phase, it clearly demonstrates the importance of incorporating all municipal strategies when planning climate adaptation initiatives. Additionally, the municipality recognizes that climate-proofing the city center benefits tourism and local companies as well. The climate adaptation project will reduce pollution in Nykøbing Bay. This will improve the water quality of the Isefjord, which houses several Natura2000 sites (protected nature areas). In addition to preventing damages caused by cloud- bursts and storm surges, local drainage systems will be installed in all new urban areas to avoid overloading existing city sewers. The project is collaborative and involves many stakeholders, including Odsherred Municipality, Odsherred Forsyning, Orbicon / Lynghus Consult, anglers and local citizens. 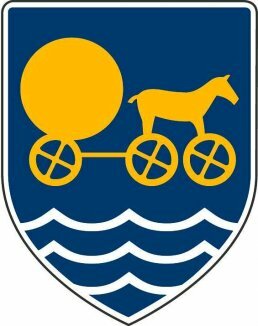 Odsherred municipality is a municipality in Odsherred, Region Sjælland in Denmark.